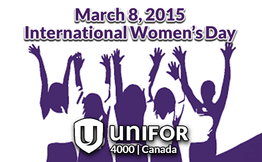 March 2 to 6, 2015 is International Women's Week (IWW), followed two days later on March 8, International Women's Day (IWD). Established in 1977 by the United Nations, this special day provides an opportunity to celebrate the progress made to advance equality for women and to assess the challenges that remain. This special day also provides an opportunity to consider steps to bring about equality for women in all their diversity. The idea of having an international women's day was first put forward at the turn of the 20th century amid rapid world industrialization and economic expansion that led to protests over working conditions. Women from clothing and textile factories staged one such protest on March 8, 1857 in New York City. The garment workers were protesting what they saw as very poor working conditions and low wages. The protesters were attacked and dispersed by police. 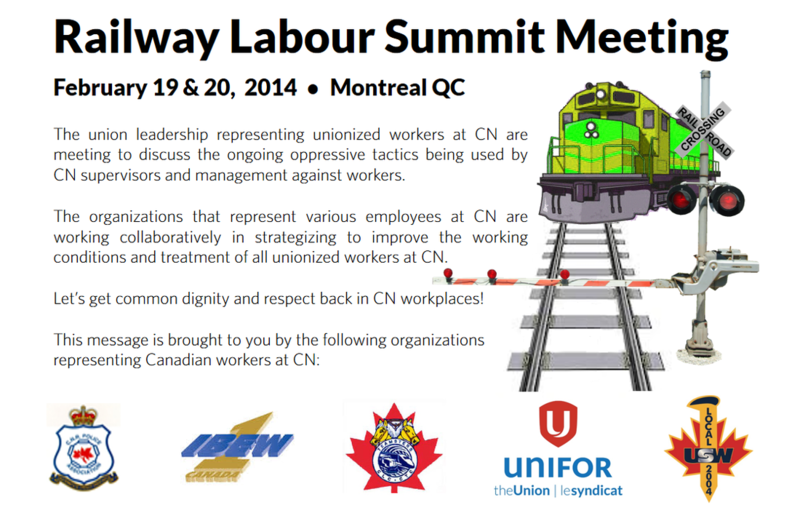 These women established their first labour union in the same month two years later. More protests followed on March 8th in subsequent years, most notably in 1908 when 15,000 women marched through New York City demanding shorter hours, better pay and voting rights. In 1910, the first international women's conference was held in Copenhagen, Denmark by the Socialist International and an 'International Women's Day' was established, which was submitted by the important German Socialist Clara Zetkin. The following year, IWD was marked by over a million people in Austria, Denmark, Germany and Switzerland. The Triangle Shirtwaist Factory fire at New York in 1911, where over 140 women lost their lives. A lack of safety measures was blamed for the high death toll. On the eve of World War I, women across Europe held peace rallies on March 8, 1913. Demonstrations marking International Women's Day in Russia proved to be the first stage of the Russian Revolution of 1917. Following the October Revolution, the Bolshevik feminist Alexandra Kollontai persuaded Lenin to make it an official holiday, and during the Soviet period it continued to celebrate "the heroic woman worker". However, the holiday quickly lost its political flavour and became an occasion for men to express their sympathy or love to the women around them - somewhat similar to Western Mother's Day and Valentine's Day mixed together. The day remains an official holiday in Russia (as well as in Belarus, Macedonia, Moldova, and Ukraine), and is observed by men congratulating women (any woman) and giving them flowers and gifts. The 2005 Congress of the British Trades Union Congress overwhelmingly approved a resolution calling for IWD to be designated a public holiday in the United Kingdom. On December 6th each year in Canada, Canadians remember the 14 women who were violently murdered in 1989 at the Ecole Polytechnique in Montreal. 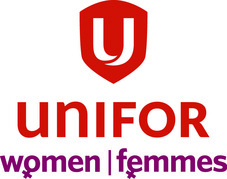 Each year, Unifor pledges to continue its work to eliminating violence against women and demands government action to stop such violence. March 8th of every year commemorates the economic, social, cultural and political achievements of women around the world. A day to celebrate the progress made to advance equality for women and to assess the challenges that remain.